It's time to lace up your skates and get ready for Monster High: Skultimate Roller Maze! 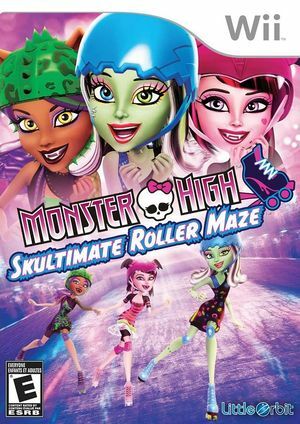 Pick your favorite Monster High character and assemble a team of friends and fiends as you skate your way through the catacombs of Monster High. Collect power-ups, avoid monstrous obstacles, scream past the competition and use each character's special ability and ghoul power to win the race and bring home the victory! The importance of teamwork and good sportsmanship are the final nail in the coffin as you "Be Yourself. Be Unique. Be a Monster!" The graph below charts the compatibility with Monster High: Skultimate Roller Maze since Dolphin's 2.0 release, listing revisions only where a compatibility change occurred. This page was last edited on 13 January 2018, at 12:45.